Police cars may one day spot suspects before the officer behind the wheel does. Coban Technologies, a Houston-based company that sells cameras to police departments, announced this week a new dashcam designed to use artificial intelligence to identify everything from people and vehicles to guns. The dashcam's features are currently limited, but the underlying technology sets the table for law enforcement to use advanced technology to make better sense of video data. 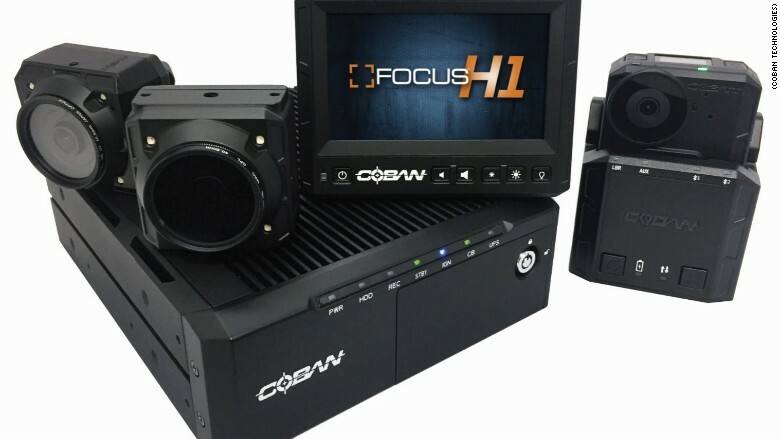 Coban Technologies is following the Silicon Valley playbook of making its camera a platform. Third-party developers will be able to create specific capabilities for the camera, such as software that identifies weapons. "There's no doubt there's value," Sgt. Daniel Gomez, who leads the Los Angeles Police Department's tactical technology section, told CNN Tech. "We want to be on that journey with them to understand where they're going to go, and what they're going to do." The new dashcam can automatically identify some objects, such as vehicles. His department is testing one of the dashcams as a way to better serve the community. For example, Gomez envisions the LAPD using the smart dashcam to perform tasks such as analyzing traffic stops so that officers can be better trained. Gomez said the department might also incorporate facial recognition technology in the future, following a dialogue with the local community, over civil liberties concerns. One hurdle is that a dashboard-mounted camera doesn't always have a direct view of a person's face, which is necessary to identify those of interest. Coban plans to develop facial recognition technology for the camera in the near future. Coban's technology is designed to work with up to six cameras, so police departments could choose to turn their vehicles into 360-degree cameras, making it easier to identify faces. Police vehicles today generally only have a single camera on the dashboard. 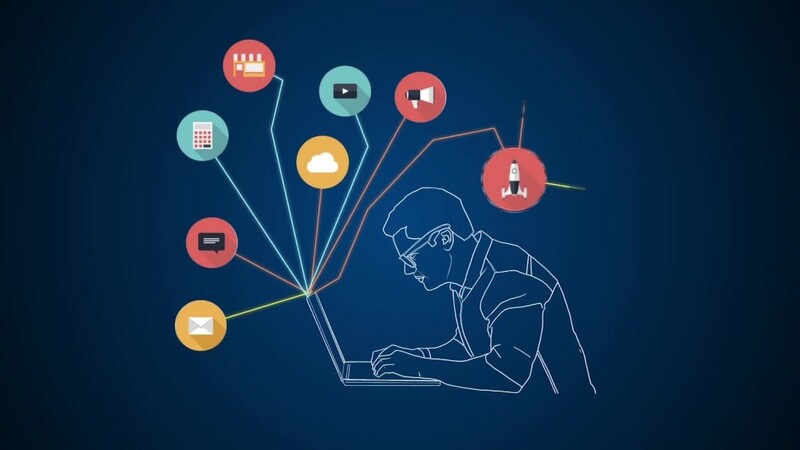 The tech also allows for immediate, automated analysis of videos. For example, Coban is testing a feature that alerts officers when someone approaches their vehicle. The technology raises questions about privacy and the "big brother" nature of facial recognition technology. With a network of smart cameras, governments could potentially track the location of every citizen, even if they're not suspected of wrongdoing. Earlier this year, the U.S. Government Accountability Office issued a report critical of the FBI's use of facial recognition technology. But police departments, including Los Angeles, are interested in how artificial intelligence can help cut down on crime. The LAPD has over 3.3 million videos filmed from in-car cameras, and 2.5 million videos from body cameras, according to Gomez. Once the department finishes rolling out body cameras, it will collect about 8,500 videos from them per day. However, analyzing footage has historically been a lengthy process. Coban's technology would be instantaneous. The latest dashcam from Coban Technologies taps into the cutting edge of artificial intelligence and computer vision. Coban Technologies CEO Doug Dickerson said there's a waiting list of departments around the country who want to test the new dashcam. Los Angeles is an early adopter of new technologies such as drones and big data. The technology creates another way for police to automatically identify vehicles. Many use license-plate reading cameras today, but Coban's dashcam identifies vehicles even if a license plate can't be seen, allowing officers to focus on other tasks. 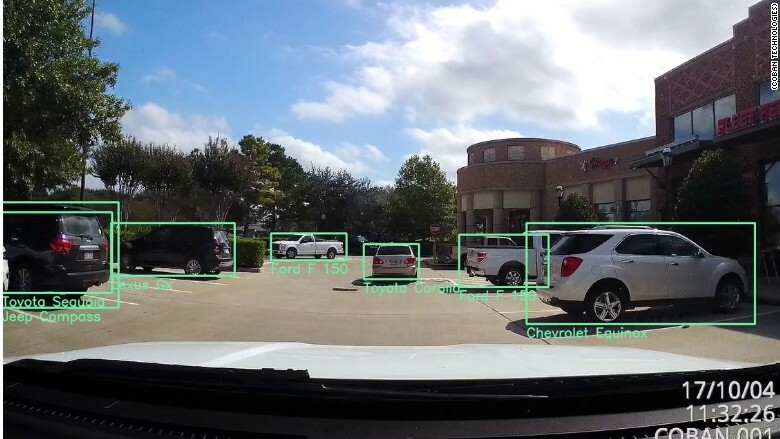 "There's no way there's enough human eyeballs and enough police officers to keep things safe on their own," said vice president Deepu Talla of tech company NVIDIA, a Coban dashcam partner. "With one billion cameras coming to smart cities by 2020, you would need three billion people to watch these cameras. That's not a practical way to do this."